Many women are very health conscious during their pregnancy- they abstain from alcohol, limit caffeine, and avoid luncheon meats and raw fish; however, are there certain “power foods” that they should add to their diet that can promote a healthier pregnancy? Do the “prenatal power foods” that media headlines commonly tout really exist? The terms “power foods” or “super foods” are actually media-coined, but there is a scientific method that may allow health professionals to categorize a food as what the media refers to as a “super food.” This method is called nutrient density. Nutrient density compares how much nutrition from vitamins, minerals, and antioxidants a food contains compared to its calorie content. If a food is “nutrient dense,” it is lower in calories and high in nutrients. On the other end of the spectrum, a food may be high in calories but low in nutrients, making it what may be called nutrient “thin.” In other words, nutrient density can be thought of as how much “bang for your buck” a food can provide. It’s preferable to eat a food rich in disease-fighting vitamins, minerals and antioxidants that doesn’t take up much of your daily calorie allotment, rather than a high calorie food that doesn’t provide many essential nutrients. Let’s take kale, for example. One cup of cooked kale contains about 36 calories, only about 1.8% of a day’s worth of calories (based on a 2000 calorie diet). For that small amount of calories it contains, in the same quantity it also provides more than 100% of the daily value for vitamins A and K, and 89% of the daily value for vitamin C- not to mention many other vitamins, minerals, and antioxidants. 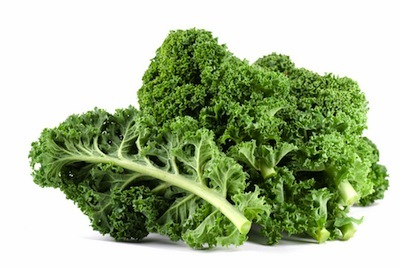 Kale gives you a good bang for your buck when it comes to nutrition. Your pregnancy will certainly benefit by adding nutrient powerhouses such as kale, blueberries, and flax seed to your diet, but remember that no one food has super powers alone. If your diet is high in sugar, refined grains, and unhealthy fats, adding a cup of spinach alone won’t do much. It is including nutrient-dense foods in your diet every day and limiting nutrient “thin” foods such as pastries and ice cream that will produce the most long-lasting health benefits for both you and your baby. You’ll also notice that “super foods” are always ones that come in their whole, mostly unprocessed form. Striving to consume foods in as close to their original form as possible will ensure that nutrients are abundant and intact. Instead of apple juice, eat an apple. Instead of sweet potato chips, eat a sweet potato. Instead of white bread, eat whole wheat with as few ingredients listed on the label as possible. If you’re interested in knowing which foods are the richest sources of essential nutrients in their natural state, visit this site. Try to include some of these nutrient dense foods in your diet every day. Though many foods that aren’t on the list are healthful, it may be helpful to use the list to pick even more nutrient-packed options when you have the choice. Whatever you choose to call this form of healthful eating, if you continue filling your plate with natural, colorful, and plant-based foods you’ll likely to already be consuming the next “super food” to make headlines.